We welcome you at our company’s web page, a company that aims in the production and disposal of qualitative, exceptional virgin olive oil in Cyprus as well as the abroad. We are proud to offer you also the our Cypriot products with high quality as: olives green and black, green hot peppers, olive paste, cypriot coffee, carob coffee, carob tea, carob powder, carob cream, carob syrup, watermelon syrup, grape syrup, pomegranate syrup, rose water, spices, herbs, tea leaves. Traditional Cypriot sweets from olives, soutzoukos, delights, honey. Cosmetics: Organic laurel oil lotion, organic moisturizing oil from rose and olives, hand made soap from olive oil and herbs. A short tour in our web page will offer you further information. Individuals who include virgin olive oil in their nutrition live more years from individuals that use other oils. 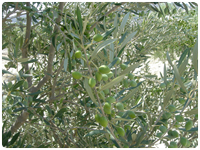 Populations that include virgin olive in their nutrition present few or no problems of cardiopathies at all. 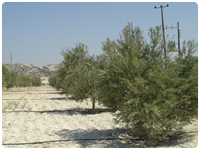 Because of the way it is produced, virgin olive oil maintains all its physical and chemical attributes. 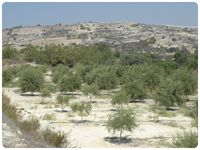 The use of virgin olive oil increases the defense of the human organism against all the various microbial forms. The consumption of olive oil should be reasonable because apart from all its profits for our health, it is rich in calories, a likely cause of obesity. The Company Olive and Olive Products Triffelaris apologizes for any inconvenience due to page upgrades. Thanks for your understanding. 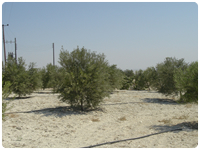 Our company announces that any potential interested buyers of organic cultivation olive oil should contact us for reserving of certain quantities of olive oil of this year’s harvest.